We are soon recruiting new talents to our IT team. What is it like to work in a growing IT start-up company? 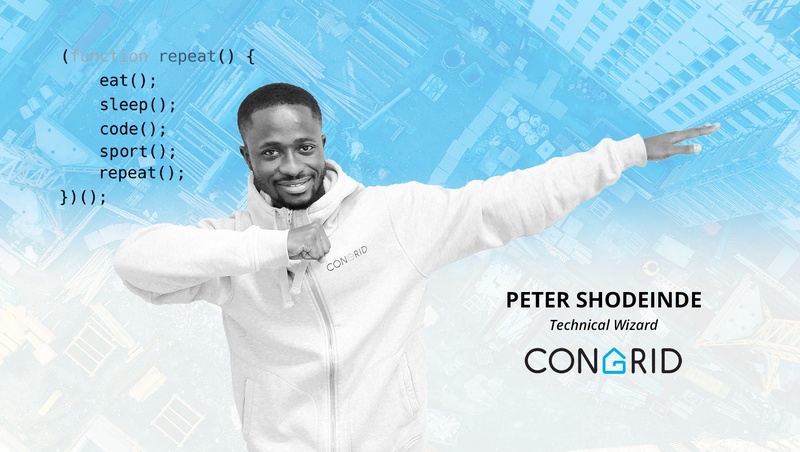 In this blog post, our awesome Technical Wizard, Peter Shodeinde shares his visions. 1. How did you end up working here and what's your background? The interest in solving real-world challenges brought me to Congrid. Congrid offered an atmosphere where your work has a big impact on the product. At my previous employer, I worked as a Software Engineer developing CRM products for SME businesses. 2. What are the best things about working here? The best thing about working here is that I was able to contribute immediately to the product development team. Developing a product that matters and affect our customers daily work makes it enjoyable to work here. 3. What kind of people suit in wizards team? The team is full of experienced engineers who constantly seek new ways to improve their skills in all areas of the product. Different team member brings different ideas and experience to the team. We constantly evaluate and look for ways to improve our work in order to maximize our output. 4. What are things challenging in a growing it-start up? In a fast-growing it-startup like this, it's important to be able to take different roles in order to get the job done. These tasks range from understanding customers' requirement to delivering the product and services. All part of our daily tasks as we look to become a leader in digitalizing the construction industry.